Atopic eczema – the most common form of Eczema is an allergic disease commonly found in families with a history of eczema, asthma or hay fever. The skin becomes dry and itchy and is most common on the inside of elbows, behind the knees, neck, head and scalp and the buttocks. • Food such as cow’s milk, citrus, wheat, eggs, and peanuts, in particular for infants. • Food additives, preservatives & colourings. • Tobacco and other external factors. Contact dermatitis results from direct contact with an allergen or irritant such as poison ivy or contact with chemicals. 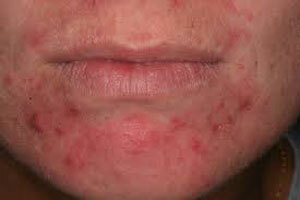 Contact eczema is curable providing the offending substance can be avoided and removed from your environment. How can Salt Halo Therapy help? Eczema receives the best results when the affected skin can be directly exposed to the micro climate of our Salt Caves. As the salt air has high anti bacterial and anti fungal properties and is also known to have anti inflammatory properties, it greatly assists in the reduction of skin edema and irritation. Eczema is very common in children. The constant skin irritation and itchiness causes uncomfortable circumstances for all, especially children. It is well documented that children respond rapidly and more intensively than adults to most forms of therapy and this is also the case with Salt Cave Therapy. The benefit of Salt Halo Therapy is that it is 100% Drug Free and natural, which is ideal for children. At our Salt Caves, all children from 6 months onwards can undertake Salt Halo Therapy. A parent or guardian is permitted in the therapy room to supervise their child less than 12 years of age at all times. Salt Caves Therapy Ireland provides a 100% drug free therapy and does not recommend or suggest altering or stopping any prescribed medication by medical practitioners or specialised consultants unless the individual has been advised to do so by their medical practitioners or specialised consultants. Salt Caves Therapies are a 100% NATURAL and DRUG FREE alternative! If you have any enquiries or would like to come in for a consultation, please call us to find out what we can do for you.